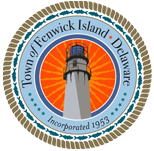 The 15th Annual Fenwick Freeze will be held on January 1, 2019 at 11:30 a.m. at the Bayard Street Beach. Proceeds for this event will go towards the Fenwick Island Lifeguard National Competition. Registration on that day will be from 9:00 a.m. – 11:00 a.m., but you can pre-register from now through December 28th by either mailing or dropping off the registration form and payment to Town Hall, or you can stop by Town Hall on December 30th and 31st from 10:00 a.m. – 2:00 p.m. and pre-register in person!